See it! Feel it! Love it! Dalyan is a small town on southwest coast of Turkey by the side of the Mediterranean. 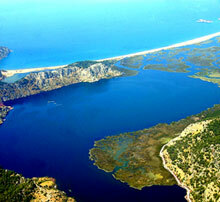 The town of Dalyan is situated center of the Dalyan delta. 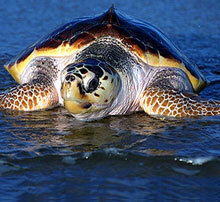 Iztuzu beach is most important place to produce of the Caretta Caretta. An amazing ancient city Caunos , Rock Tombs and Mud Baths are in Dalyan. 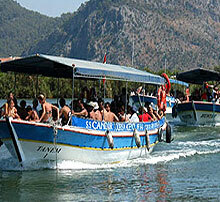 Dalyan Guide offers you an economical holiday on unspoilt paradise Dalyan in Turkey. If you are planning a travel to DALYAN or holiday in Dalyan and seek extra information about Dalyan and looking for a property and accommodation, hotel ,pension, villa for rent and advice you are the right place. Set inland on the banks of the Dalyan River, the village of Dalyan is a peaceful holiday backwater unspoilt by mass tourism. The romance of the place is heightened each morning as a fleet of gaily-painted boats chug off down the dalyan river carrying holidaymakers to the glorious sandy iztuzu beaches at the mouth of the river delta. Starting from Dalyan Harbour the voyage through beds of bulrushes and pampas grass takes around 45 enjoyable minutes - the entire Delta is a protected National Conservation area and is home to over 200 species of birds along with no less than three varieties of turtle, including the Loggerhead Caretta Caretta. Dalyan maybe strange for you, but if you come once, you will come again.